"HALLOWEEN II" aka "BOOGEY MAN" (1981)!!! Starring: JAMIE LEE CURTIS, DONALD PLEASENCE, CHARLES CYPHERS, JEFFREY KRAMER, LANCE GUEST, PAMELA SUSAN SHOOP and many others! Sold only in Japanese cinema’s during the film’s original theater run in 1981! Filled with many great color photos from the film and more! A MUST for any collector or fan of this film/series! RARE as it gets!! Don’t pass it up! 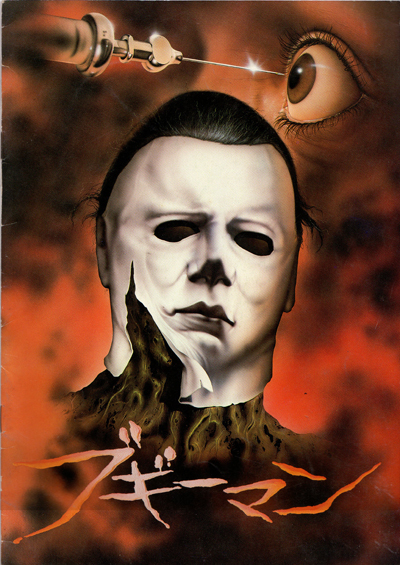 Click the button below to add the HALLOWEEN II (BOOGEY MAN) Japan Movie Program ORIGINAL to your wish list.